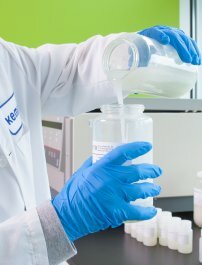 April 3, 2018 - Kemira, a global chemicals company serving customers in water intensive industries, announces price increases for all colorant products globally. The price increase of 15-25% for all colorants will become effective for shipments made on or after April 15, 2018 or as contracts allow. In a press release, Kemira stated, “While Kemira continues to take actions to mitigate the impact of increasing costs, it is necessary to adjust our pricing in order to compensate for the rapid and recurring increases in key raw materials and transportation costs." Kemira is a global chemicals company serving customers in water-intensive industries. To learn more about Kemira, please visit www.kemira.com.